The American Society for Testing and Materials (ASTM) is an international, non-profit standards and performance testing organization formed in 1898 to address the frequent breakage of locomotive rails made from steel. Today, the ASTM issues a set of technical standards that define a wide range of products, systems, services, and materials, in terms of generally agreed upon practices (as in installation processes) or tested and approved performance guidelines (for the product’s end-use). For the consumer, an ASTM certified product indicates the product is fit for the purpose as stated by the manufacturer, has been tested to meet public health and safety concerns, and will deliver consistent and reliable service in durability, performance or suitability. Keep in mind, ASTM testing does not and cannot account for every environmental and end-user scenario available throughout the life of any installed system or service. ASTM tests and codifies waterproof coating systems to measure the dimensional requirements, mechanical attributes and performance expectations of materials used to manufacture the coatings, the technical processes required to install the systems and the resulting service life-cycle of each complete system. Understanding what a test measures and why it is measured will be key to evaluating whether the coating is appropriate for a particular surface, the climatic environment, and the general-use pattern. Water Vapor Transmission is a critical test to determine the rate of moisture passage through a substance. The conditions under which these tests are performed will have a major impact on obtaining a reliable result. Ambient temperature, substrate temperature, changes in humidity across the samples and other conditions must be controlled and recorded. The resulting test units are usually quantified as MVTR per g/m²/day or MVTR per g/100in²/day. The water vapor transmission rate as determined by ASTM testing is used as a comparison model of different substrates tested under carefully-controlled conditions. This direct correlation of MVTR values is used to specify the right coatings applicable for the type of material and environment being waterproofed, the quality of the vapor barrier, and the expected performance limitations. 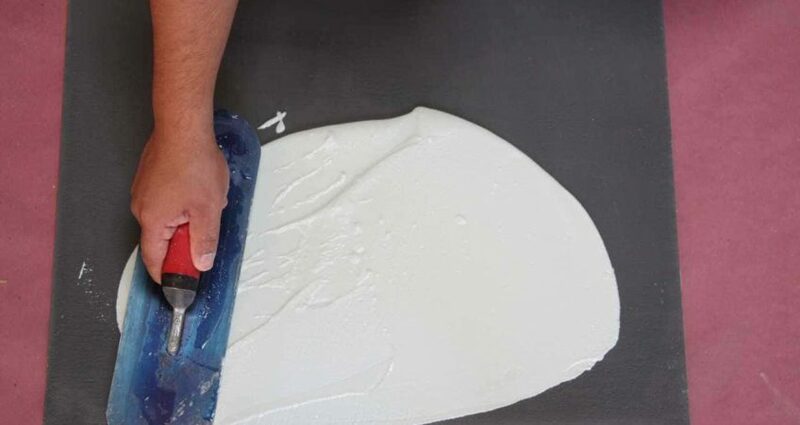 Bond Strength Testing will test the adhesive strength a material will maintain between itself and a substrate or between two mating or joined substances. The mechanical properties tested are strength (such as the pull-apart force), creep (deformation under load), fracture patterns (failures such as bubbles, cracks, or unbonded portions), and fatigue (failure due to lack of elasticity). The chemical bonding properties are also tested to determine the viscosity (flow behavior) and volatility (harmful gas emissions) of the adhesives. When manufacturers use quality ASTM certified bonding components it will prevent the dissolution of the bond between substrate, primer, and coating; a deterioration which can compromise and undercut the waterproofing system. Compressive Strength Test will push on both sides of a cylinder of the substance being tested to determine the maximum amount of load stress a material can handle before it deforms, deteriorates or fails. These types of tests can also determine the crush resistance of a material and the amount of time it takes the material to recover after pressure has been applied. 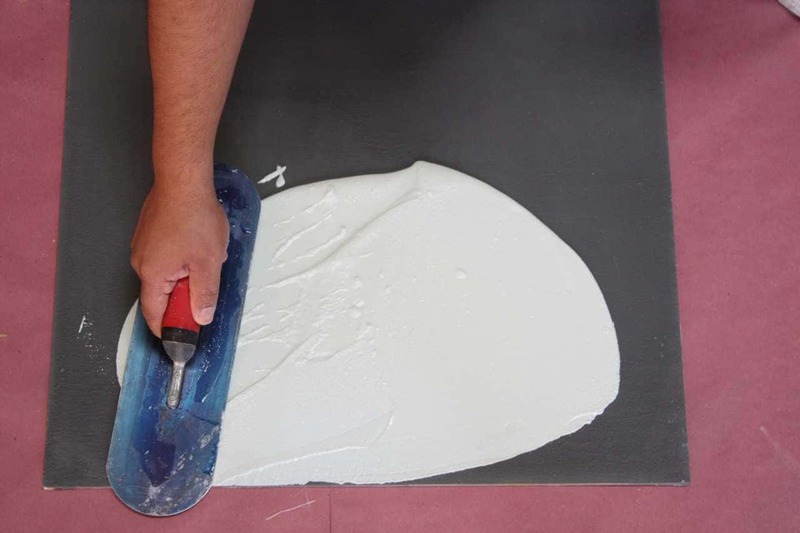 Compressive strength testing is especially geared to epoxy floor coatings that are used in high traffic and high abuse areas to determine the ability of the material to handle heavy weights without damage. Typical compression rates for non-flexible epoxy start at 10,000 psi (pounds per square inch) while the compressive strength of concrete flooring is around 3,000 psi. A good coating will balance the compressive strength with the elasticity of the coating to limit brittleness which can lead to impact failures. Chemical Resistance Tests are especially important for industrial-strength coatings which have to endure chemical spills in laboratories, processing plants, and production lines. ASTM chemical testing has to account for many variables to determine a material’s resistance to chemical reagents; the type and concentration of the chemical, duration of exposure or immersion, environmental corrosive conditions, and ambient temperatures. The resulting test will provide a standard specification to guide manufacturers and end-users to reach an informed decision when comparing the relative resistance of materials to chemical stress. One-Hour System Test is a standard ASTM test to determine the time duration that building elements can contain a fire and maintain its’ structural integrity. The test material is exposed to a one-hour controlled fire at a specified temperature. The fire is then disposed of with a typical fire hose stream and the material is examined to measure the response under these fire conditions. For deck waterproofing or epoxy flooring systems, adherence to a one-hour test will ensure the installed systems do not act as an accelerant during a fire or prematurely fail and cause harm to occupants or first responders. Contact us for full specifications on our entire line of ASTM-tested flooring and waterproofing systems.